BUTTERFLY ARTIC! 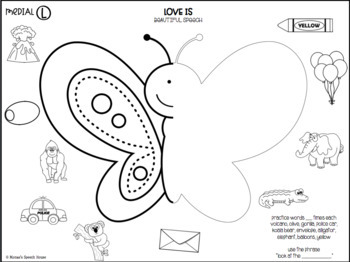 Use this butterfly "print & go worksheets" for an easy activity or homework page during SPRING OR SUMMER! 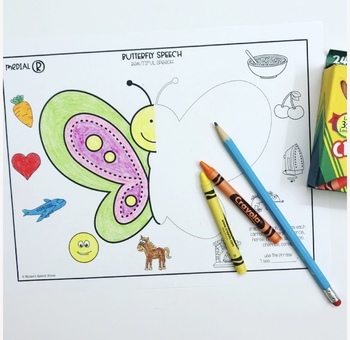 Kids LOVE drawing the other half of the butterfly! Product includes ALL NO PREP BLACK & WHITE PRINT-N-GO Worksheets! 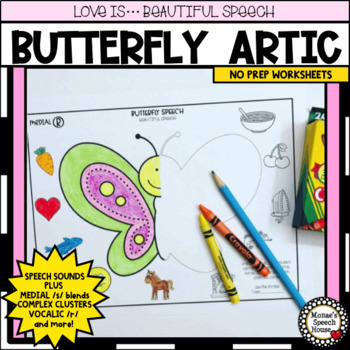 These worksheets target the following speech sounds: initial, medial, final /p, b, t, d, f, k, g, s, l, r, sh, ch, th/, vocalic /er, ar, or, air, ear, ire/, initial, medial and final /s/ blends, and complex clusters. FOR MORE FUN MATERIALS CLICK HERE! Monae’s Books, Posters, Speech Sound Materials & Activity Packets are the perfect tools for developing and improving communication skills. They are very engaging, very easy to use, and kids LOVE THEM!